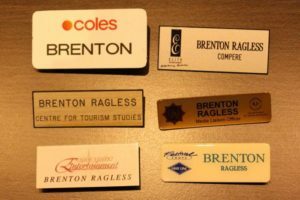 Why is the name Brenton so popular in Adelaide? No doubt the popularity of the name Brenton interstate and in the U.S. is down to the paddleboat TV drama All the Rivers Run, which starred John Waters as captain Brenton Edwards and Sigrid Thornton as Philadelphia Gordon. Brenton “is very clearly a Cornish name”, and a large number of Cornish people emigrated to South Australia in the 1840s because of a famine in Cornwall and a copper mining boom in towns such as Burra, Kapunda, and Moonta. Brenton is often a middle name also, after a boy’s mother’s maiden name. In South Australia, there were — and still are — a lot more people with the last name Brenton than interstate, at least per capita.